A $300 million investment has kept the coal rail project from the Surat Basin to the Port of Gladstone on track. 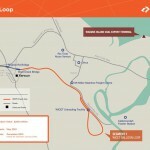 The project, estimated to cost $1 billion, is a rail corridor linking Wandoan to Banana and completes the transport link from Toowoomba and Gladstone. According to Toowoomba’s The Chronicle, the development of the 210km rail line is critical for the transportation of coal from the Surat Basin to the Wiggins Island Coal Export Terminal at Gladstone. The three equity partners supporting its construction are QR National, Xstrata Coal and engineering firm ATEC. Everald Compton from ATEC told The Chronicle that with this $300 million investment from the US Energy and Minerals Group, funds are now available to begin building the rail in 2011. With the construction of this line, Toowoomba will become a major freight hub. Compton is also reportedly working towards a rail link from Moree to Toowoomba, which would essentially link the town to Melbourne.